MATLAB is a high-level technical calculations language, an interactive development environment for algorithms and a modern data analysis tool. Compared to traditional programming languages ​​(C / C ++, Java, Pascal, FORTRAN), MATLAB makes it possible to shorten the time needed to solve typical problems by an order of magnitude and greatly simplifies the development of new algorithms. 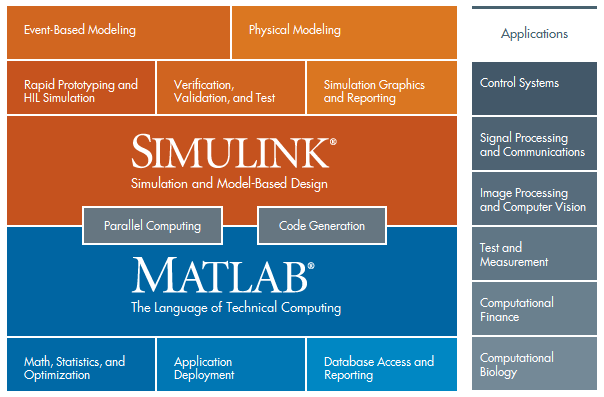 MATLAB is the foundation of the entire MathWorks product family and is the main tool for solving a wide range of scientific and applied problems in such areas as: object modeling and control system development, communication system design, signal and image processing, signal measurement and testing, financial modeling, computational biology, etc.